We offer occupational, physical and speech therapy for adults and children on an outpatient basis at several convenient sites located throughout the Cedar Rapids, Iowa, area. Located on the sixth floor of the hospital, our experienced therapists provide the area's most comprehensive physical, occupational and speech neurological and balance-oriented therapy for adults and adolescents. St. Luke's Therapy Plus has four convenient outpatient therapy locations throughout Cedar Rapids to better serve our patients. Physical therapy for sports, orthopedic injury or surgery is available at all locations. Our team of skilled physical therapy experts work in partnership with your other healthcare providers to help you regain function, strength and flexibility. Witwer Children's Therapy is family centered and created specifically for children. Our specialists works closely with you, your child, family physician and school to design an individualized program that will benefit your child most. We offer occupational, physical and speech therapy. We are one of the largest outpatient pediatric therapy centers in Cedar Rapids and across the state of Iowa. UnityPoint Health St. Luke's Hospital therapists recently started using the LSVT Big program to help patients with Parkinson's disease. 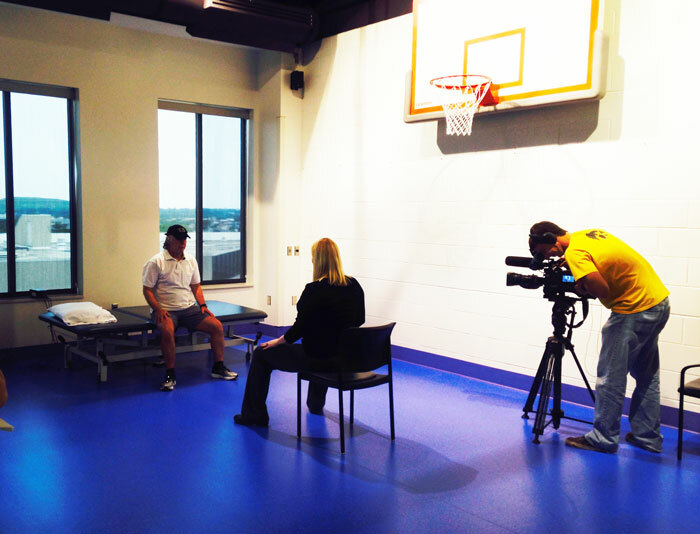 Patient's like Mike Van Horn of Cedar Rapids are thrilled to have access to the program.